Pax Bag Life Vest - innovints Webseite! 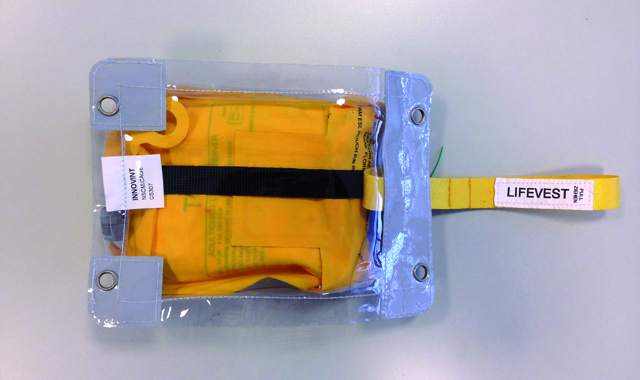 Pax Bag Life Vest is installed under the seat cushion of the pax seat and is attached to the seat structure by four tie raps. 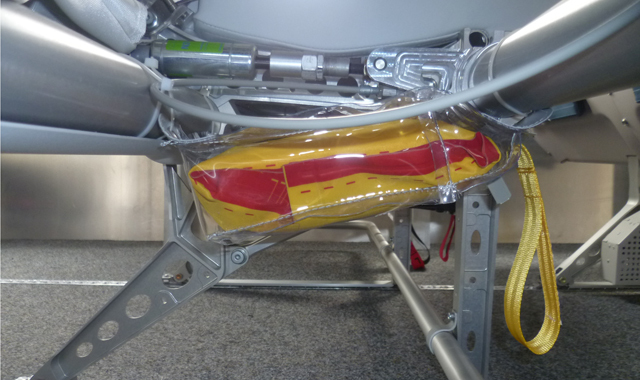 The length and the position of the release strap may be adjusted to the front edge of the seat structure. 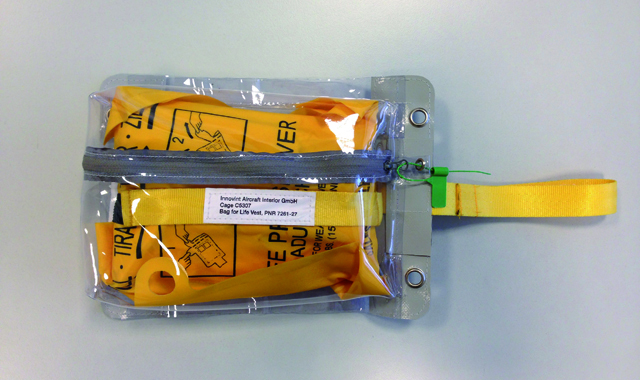 Pulling the release strap in horizontal forward or slightly upward or downward direction, the tear seam will break and the life vest is reachable for the passenger.